Dean Smith says Tom Carroll has a “slight strain” and could miss the “next couple of games” for Aston Villa. Carroll has made one appearance for the Midlands outfit since joining on loan from Swansea City, coming off the bench in a 0-0 draw with Reading on February 2, but he was left out of the matchday squad in Villa’s 3-3 draw with Sheffield United on Friday night. In his absence, Birkir Bjarnason was named on the bench and Smith has revealed why, telling Birmingham Live: “He (Carroll) got a slight strain in training the other day so he’s missed the last few days, he’ll probably be back in 10 days or so”. 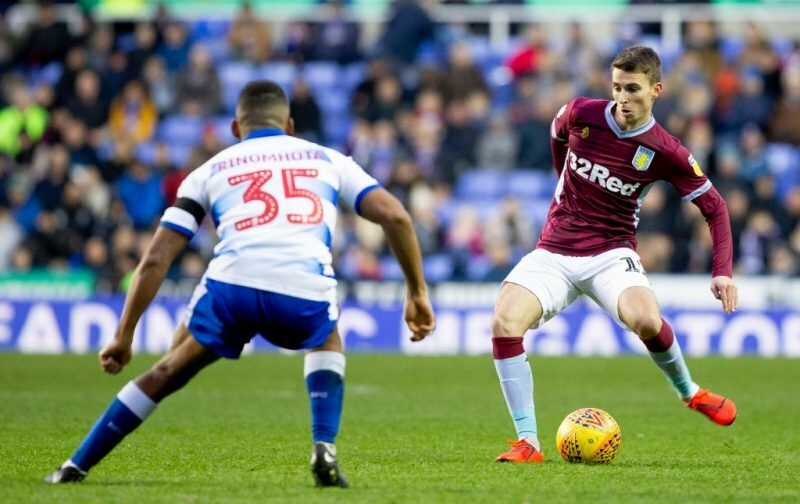 Smith’s admission means Carroll is now likely to miss Villa’s trip to Brentford on Wednesday and Saturday’s meeting with West Bromwich Albion. He might return in time to face Stoke City on February 23. The 26-year-old has a buying option attached to his loan contract at Villa, so Smith can turn his move permanent when the season ends. Carroll has only played 22 minutes of football for his new club since the switch, however, so the jury is out on what he can bring to the squad. The Swansea man is sure to be given more opportunities when fit so he needs to take them.